Want students to problem solve? Check. Want to challenge their reasoning skills? Check. Need to focus on reading and writing in math? 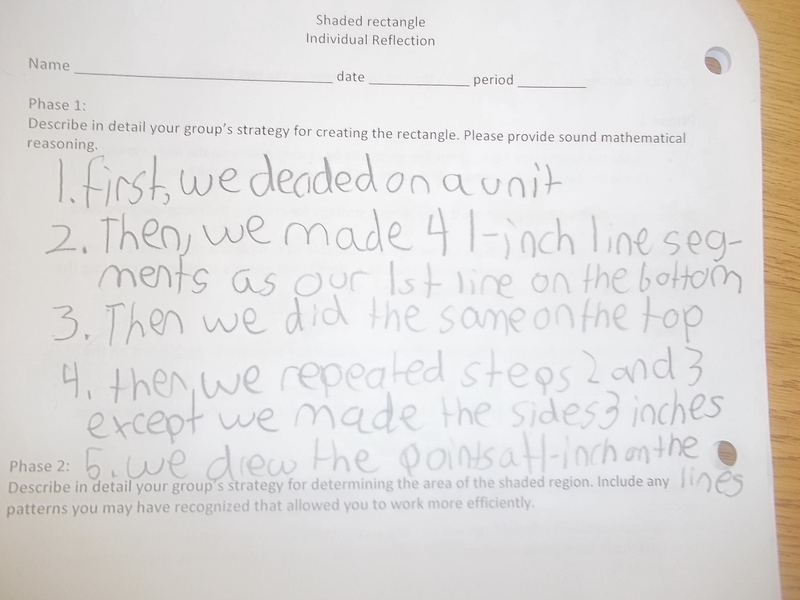 Then check out the Shaded Rectangle task. I found it in the Sept. 2012 issue of Mathematics Teaching in the Middle School and couldn’t be more delighted. 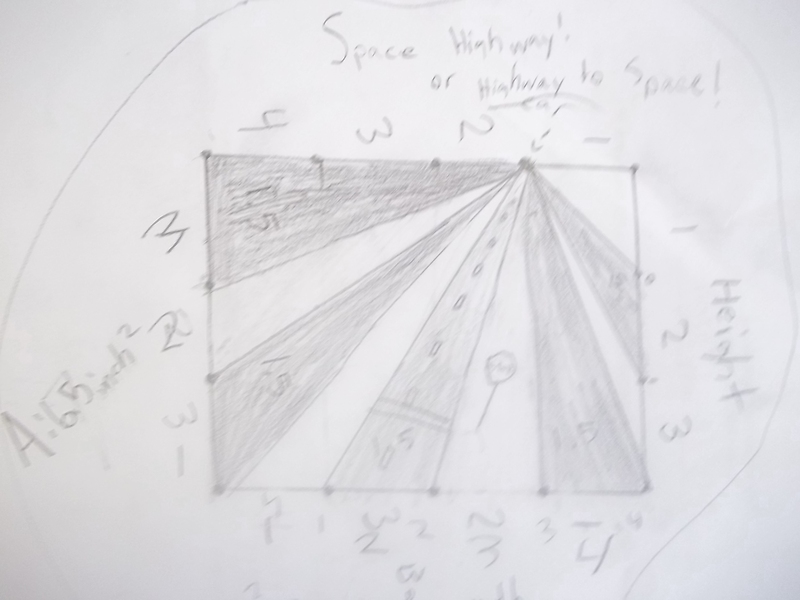 It’s the only geometry task I have ever given where a geometric shape, or visual, is not provided. 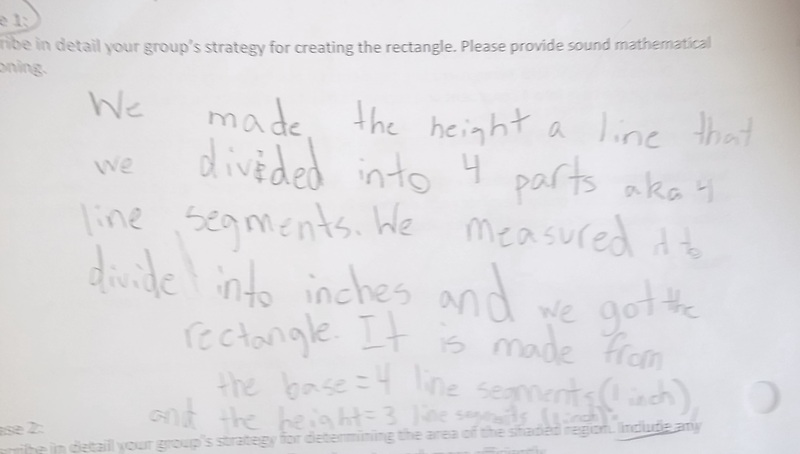 Students must construct a specific rectangle and 11 triangles within it, shade the alternating triangles, then determine the area of the shaded region–all from written directions. Way cool!!! Divide the height into 3 congruent line segments by placing points on the line segment. Divide the base into 4 congruent line segments by placing points on the base. From the point just below the top-left corner, draw a line segment to each point on the rectangle. Shade the triangle at the upper-left corner and then shade every other triangular region. This group began shading the triangles from a different point than what was listed in the directions. The sketch was accurately interpreted by this group of students. Are the bases and heights correct? As with writing, beginning from a blank page is the most difficult part. I wanted the students to struggle but not feel defeated, so I tweaked the original lesson to include three resource cards. If students were stuck they received a hint. I am adding this addendum to include additional reflections as it relates to reading. Many students spent nearly 40 minutes persevering on constructing the rectangle. The next time I do this task I am going to add two resource cards that focus in reading strategies. 1) Visualize. Sketch the rectangle and place the points where you think they should be. 2) Re-read. If you don’t understand the passage, re-read it. What context clues can help you with this task? I talked with a colleague afterwards and we brainstormed the possibility of adding step-by-step directions. We both thought this wouldn’t help students to think for themselves, so we came up with the idea of adding the reading strategies as resource cards for students who needed additional support. 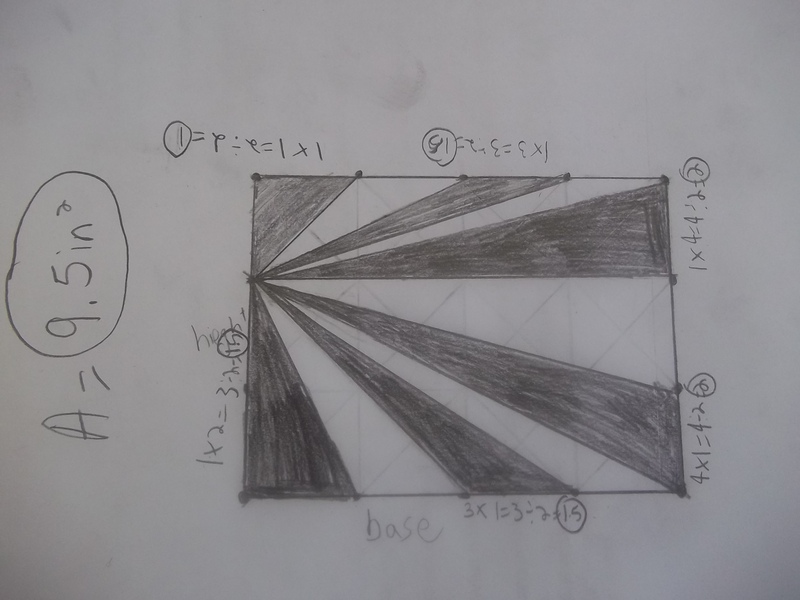 I also modified the task by dividing it into two phases, creating the rectangle and determining the area of the shaded region. After each phase the students had to explain their mathematical thinking in writing. This proved to be difficult for many students. So it’s something I need to do more in class. Please let me know if you use the task, think of ways to modify it further, or to create more extensions. Speaking of extensions, some teachers may want to omit any reference to the dimensions listed in extension 1. Again, let me know if you use it and how you may change it. This is was the mathematical thinking I was hoping for. Another example of mathematical thinking. Emerging mathematical thinking. I need to help students develop this skill. Previous postI’m in love with GeoGebra!